The annual course of events normally consist of a Spring Reception, Summer Garden Party and Annual General Meeting (AGM). The Spring Reception was held on Friday 12th April, at The Gallery, Alan Baxter House. 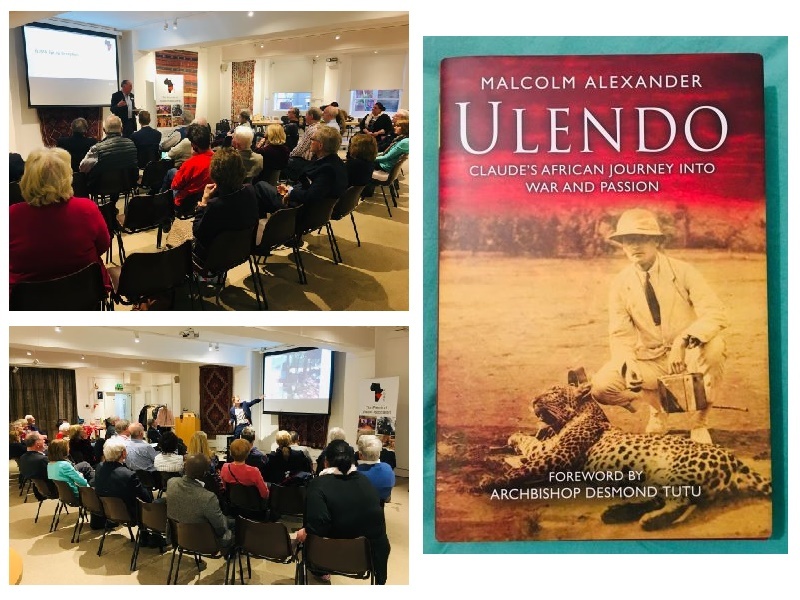 Malcolm Alexander gave a brief talk on the recent First World War Centenary Commemoration at Mbala, Zambia, and also presented his book – Ulendo: Claude’s African Journey into War and Passion. Half of the evening’s proceeds were kindly donated to FOMA. Thank you, Malcolm. Our very own committee member, Jamie Proctor, gave an insightful talk and presentation following his recent trip to Malawi, when he visited a number of projects FOMA has funded. We were also delighted to have a delegate representative from the Malawi High Commission present. Thank you to everyone who has made a special donation for the flood relief effort following Cyclone Idai. As our Chairman, Simon Broadbent, mentioned, we were able to respond immediately to requests for help from organisations we have previously worked with. The Summer Garden Party is scheduled for Saturday 13th July, in Dorchester-on-Thames. The Annual General Meeting is scheduled for Friday 20th September, at The Gallery, Alan Baxter House. If you are interested in attending an event, please contact us for further details.